Catamount football joins men's basketball, women's soccer and volleyball teams in partnering with adidas. A two-year partnership for the football team provides for adidas to be the official athletic footwear, apparel and accessory brand of Catamount football for the 2014 and 2015 football seasons. "A lot of the top college football programs in America are wearing adidas, one of the premier clothing companies. 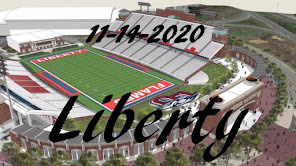 We see many positives in being with a company that can outfit us from top-to-bottom in terms of uniforms and footwear," head football coach Mark Speir said. "What was most exciting to us was that adidas pursued Western Carolina University and sees the value of WCU being one of their schools." He added, "We demand the most and demand a lot out of our players; this will reward our players by putting them in top-of-the-line apparel." "We are proud to welcome Western Carolina football back to the adidas family," said Mark Daniels, director of team sports for adidas America. "We look forward to providing lightweight adizero cleats and revolutionary TECHFIT uniforms to the Catamounts next season helping them play faster, lighter and stronger." As a senior Brett had 12 catches for 154 yards (12.83 average), with 2 touchdown receptions. It's 14 days until the 2014 season's first pitch and the first three game home series against the Ohio Bobcats. 2013 (Junior): Appeared in 48 of the team's 59 games, making 40 starts including 38 in left field and two in right field ... Finished the season with a .260 batting average (38-for-146) with 17 extra base hits including 13 doubles and four home runs ... Drove in 20 runs while scoring 28 on the season ... Recorded 10 multiple hit games with eight, two-hit outings while also securing four multiple RBI games ... Increased his seasonal batting average to .308 (24-of-78) during conference play with nine doubles and three homers ... Batted a career-best .361 (13-for-36) against left-handed pitching ... Committed just one error in the field all season, posting a .986 fielding percentage with 68 putouts and three assists ... Matched his career-high of three hits in a game twice during 2013, going 3-for-4 with a double in the series-clinching victor over The Citadel (March 30) and finishing 3-for-4 in the regular season finale at Appalachian State (May 18) ... Drove home a season-high three runs at Furman (April 6), doubling and hitting a home run ... Doubled twice in the road win over Kennesaw State (May 1), matching his season-best with three RBI ... Named to the 2012-13 Southern Conference Honor Roll; Summer League: Played with the Thomasville Hi-Toms of the Coastal Plain League ... Started 42 of the 47 games in which he saw action during the summer ... Batted .214 (34-of-159) with five doubles, a triple and two home runs ... Scored 16 runs with 17 RBI ... Drew 16 walks and was plunked four times against 32 strikeouts ... Was perfect in the field, recording 56 putouts to rank second on the squad and six assists without an error in his 62 chances. 2012 (Sophomore): Saw action in 55 of WCU's 56 games on the season, making 39 starts including 33 in left field and six in right field ... Posted a .254 batting average with 36 hits including 17 for extra bases with 12 doubles and five home runs, third on the team ... Finished tied for fourth on the team with 11 two-out RBI ... Hit .277 against right-handed pitching on the year ... Was a .500 (12-for-24) hitter as a non-starter with six extra base hits including four home runs - recording a 1.083 slugging percentage ... Tallied three outfield assists ... Drove in 27 runs on the year including a career-best five in a home win over UNC Greensboro (March 24) ... Tied for the team-lead with 21 RBI in SoCon ... Hit three home runs in the home double-header against UNCG, belting two including an 11th inning walk-off, game-winner in the first game of the twin bill ... Doubled twice in the home win over Fordham (February 18) and again at Gardner-Webb (April 17) ... Broke the game's only tie with a two-out, three-run home run over the fence in right field as WCU won the series over No. 24 Appalachian State (May 19); Summer League: Played for the Forest City Owls of the Coastal Plain League during the summer of 2012 ... Started 32 of the 36 games in which he say action, finishing with a .196 batting average ... Collected 21 hits including six doubles and a home run, driving in eight ... Was a perfect 4-for-4 in stolen bases ... Walked 13 times and was plunked eight times. 2011 (Freshman): Played in 37 games making 19 starts as a true freshman including 13 in leftfield and three apiece at first base and as the designated hitter ... Finished with a .209 batting average with 14 hits - half going for extra bases - in 67 at bats ... Posted a .286 (2-for-7) average as a pinch hitter ... Had three multiple-hit games and two multi-RBI outings ... Scored two runs despite not getting a base hit, walking and scoring twice in the season-opener against Morehead State (February 18) ... Struggled through his first eight games, starting his career 0-for-17 before collecting both his first career hit and first career extra base hit at the same time with a double down the right field line in the second inning in a road win at Eastern Kentucky (March 2) ... Posted two hits at EKU for his first career multiple-hit game ... Drove in his career RBI on his first career home run, belting a solo shot over the right field fence at UNC Greensboro (March 11) ... Had a career-best day with a 3-for-5 showing at home against Georgia Southern (April 17) ... Hit a three-run home run at College of Charleston (April 2). Prior to Western Carolina: Garnered All-South Mountain Athletic Conference honors following his senior season, also picking up all-conference accolades following his sophomore season in 2008 ... Hit .414 with over 30 RBI's and an on-base percentage of .514 as a junior, helping Patton HS to the North Carolina 2-A State Championship gane ... Ranked 15th in the state of North Carolina among baseball recruits and was No. 414 in the nation according to PG Crosschecker ... Was a part of the 2004 Morganton Little League All-Star team that finished third in the United States and seventh in the world ... Played summer league baseball with the Burke Legion team and played for the Dirtbags in the fall. Personal: Full name is Dykota Brandon Spiess ... Is the son of Jason and Heidi Spiess ... Has one sibling, Brittney. What's with the SoCon basketball officials? The Cats shot poorly against Elon, that's why they lost the game. Having got that out of the way, I'm very concerned with the quality of officiating in the SoCon. The Catamounts did battle back in the second half of the game, from a 16 point deficit, cutting that Elon lead down to just three points. From that point on, fouls at crucial points put Elon on the charity stripe, helping them overcome the surging Catamounts. Again, fouls are not sole the reason the Cats lost the game, but they were more than just a minor contributor to the loss. The Cats were called for a total of 16 personal fouls, which is not excessive. But these fouls were mostly called against WCU players fouling Elon players in the act of shooting, thus sending the Phoenix to the charity stripe for 23 attempts to score. They did make 13 points at the line. However, only 7 fouls were called on Elon during the entire game, and none of them were called against an Elon player fouling a Catamount player in the act of shooting. So, for the entire game, according to the game officials, the Phoenix did not commit any personal fouls against the Catamounts while ANY Western player was in the act of shooting ANY of their 62 field goal attempts. Do you recall any games where one team is not called for ANY fouls against their opponent while the opponent was in the act of scoring for an entire game? I don't think I have. Once again, the quality of SoCon officials is called into question, and certainly this should be of concern to the Southern Conference Commissioner. 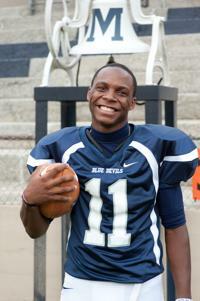 2013 (Freshman): Named Southern Conference Player of the Week (04/22/13) ... The only freshman to played in all 56 games and started 55 ... Spilt time between first base and at pitcher making 12 appearances, starting 10, ... Made her pitching debut at Top-25 Florida on February 16, 2013, holding the high-octane Gators to just five runs on six hits and fanned nine batters ... Set her season-high for strikeouts, on the mound, when she recorded 10 strikeouts against ETSU (03/20/13) ... Ended the year with 55 strikeouts on the mound ... At first base, she had just six errors on the year ... Led the team in RBI (28) and doubles (9) ... Also led the team in multiple hit games with 13 and tied for first on the team in multiple RBI games with seven ... Ranked second on the team in batting average with .273 ... Tied for lead on the team in homeruns with seven ... Hit first homerun of her Catamount career against Albany (03/01/13). Prior to Western Carolina: In 2012 named to Catawba County Student-Athlete Hall of Fame ... As a junior, was Region 7 All-State, Region 7 All-District, Region 7 Pitcher of the Year, CVAC Conference Player of the Year, CVAC All-Conference and helped lead her team to a CVAC Regular Season Conference championship ... As a sophomore, named NC All-State, Region 7 Pitcher of the Year, Region 7 All-District, CVAC Player of the Year and All-Conference and was also helped team to achieve CVAC Conference and Tournament Champions ... Also played basketball and volleyball receiving conference accolades for both. Personal: Taylor Mackenzie Sigmon ... Daughter of Kelly and Angie Sigmon ... Has one sister, Mary Catherine. Selected to the NCPreps.com 3A All-State Team. In his senior season, Armstrong had 102 receptions for 1452 yards (avg 14.24) and 20 touchdowns, On special teams. Armstrong had 14 kickoff returns for 364 yards and 7 punt returns for 150 yards. The Henry Daily Herald reports that Eagle's Landing quarterback Bradley Dewberry, who committed to Western Carolina two weeks ago, will now decommit from WCU and sign with Eastern Illinois of the Ohio Valley Conference. His decision comes after an official visit last weekend to Eastern Illinois. It's 16 days until the 2014 season's first pitch and the first three game home series against the Ohio Bobcats. 2013 (Freshman): Made 16 appearances on the season with 15 coming out of the bullpen and one start coming in game one of a doubleheader against Hofstra (March 3) ... Tossed 18 innings on the year, finishing with 7.00 ERA ... Allowed 16 runs with 14 going down as earned ... Only three of the 25 hits he surrendered on the year were for extra bases including two doubles and a triple ... Tallied 17 strikeouts against 13 walks ... Recorded four fielding assists and one put out coming off the mound ... Made his collegiate debut against Pac-12 foe, Washington State (Feb. 17), tossing a third of an inning allowing a run on one hit ... Struck out a season-high four against Elon (March 23) ... Tossed a career-long 3.1 innings on two occasions including his first career start against Hofstra and his very next outing at Tennessee (March 20), limiting the Volunteers to one run on two hits with a walk and a hit batter ... Closed the regular season by tossing two scoreless, one-hit innings at archrival Appalachian State (May 16) in the 23-5 drubbing of the Mountaineers ... Named to the 2012-13 Southern Conference Honor Roll; Summer League: Made six appearances out of the bullpen, tossing 10.1 innings while boasting a 0.87 ERA for the Forest City Owls of the Coastal Plain League ... Surrendered six runs - only one of which was earned - on five hits with just one extra base knock ... Struck out 15 against seven walks while limiting opposing hitters to a .139 batting average ... Left the team in late June to take the remainder of the summer off. Prior to Western Carolina: Finished his prep career by posting a 5-2 record on the mound with a 0.44 ERA, helping Commerce High to a 21-8 record and advancing to the second round of the Class A state playoffs ... Tallied 88 strikeouts as a senior ... Additionally hit .468 with four home runs and 36 RBIs ... Named to the Athens Banner-Herald All-Area team ... As a junior, named the Region 8-A Pitcher of the Year after leading the Tigers to the playoffs with a 6-3 record ... Recorded 98 strikeouts and a 2.19 ERA while batting .420 with 30 RBI. Personal: Is the son of Conrad and Allison Davis ... Has one sibling, Madison. "Leadership and toughness are No. 1 and 2 in team sports success. Our four senior captains are a tremendous representation of our Catamount baseball tradition," said WCU head coach Bobby Moranda. "Our team voted all four into this very important leadership role and I expect them to perform excellent service and direction for the entire program." Cody Jones, Aaron Attaway, Taylor Sandefur and Dykota Spiess have been selected as team captains of the 2014 Catamount Baseball team. Purple & Gold congratulates all four on their selection. It's 17 days until the 2014 season's first pitch and the first three game home series against the Ohio Bobcats. Prior to Western Carolina: Was a four-year varsity letter winner who earned All-Ohio Division III accolades all four seasons including first-team plaudits each of his final three seasons ... Named the News Journal Player of the Year as a junior and senior ... Batted .555 for his high school career with 24 home runs ... Set high school program record for games played and career batting average ... Ranked inside the top five in Ohio state history in batting average and was eighth in career hits ... Also played football as a prep, earning All-Ohio. Personal: Full name is Matthew Allen Smith ... Is the son of Tim and Melissa Smith ... Has a younger brother, Noah. The following is my submission to week thirteen of Scanning the SoCon. You can read the entire consolidated article and see everyone's Power Ranking, Player and Game of the Week, as well as, all of the answers to this week's questions at MocsMania. FootballScoop.com reports that Vanderbilt defensive grad assistant LaMar Morgan will join the Western Carolina staff coaching the defensive backs. LaMar Morgan completed his second year as a Vanderbilt defensive graduate assistant. Morgan enjoyed an outstanding playing career as a four-year letterwinner at La.-Lafayette from 2003, 2005-07, starting four years at safety. He was a two-time captain for the Ragin Cajuns, and was the team's Draddy Trophy semifinalist as a senior. He also has pro experience, having played in the Arena League in 2010. He earned a bachelor's from La.-Lafayette in 2007 and two master's degrees from Texas A&M-Commerce in 2011-12. He is working toward a master's in liberal arts and science from Vanderbilt's Peabody School. On Thursday, January 30th, the Western Carolina Catamounts will make their final road trip to the Alumni Gym (1,607) in Elon, NC to meet the Elon Phoenix for the last time in regular season as a Southern Conference member. This will be the second meeting of the two teams in regular season, as the Cats won the opening game in Cullowhee over the preseason favorites by a final score of 74-62. The Phoenix are 10-11 overall, and 3-3 in conference play, having lost to Western Carolina, Chattanooga and Samford. The Phoenix have SoCon wins over Appalachian State, The Citadel and Davidson (in overtime). Elon's home record is 7-2, but the Phoenix are currently on a 3 game losing streak, once at home and their last two road games. The Phoenix are averaging 76.2 points per game, good enough for third in the SoCon, and are giving up 74.2 points ranking 5 in conference play. The Phoenix have four players averaging double figure scoring, led by Lucas Troutman with 15.5 ppg, followed by Sebastian Koch with 12.8 and Tanner Samson with 10.2 ppg, then Ryley Beaumont with 10.1 ppg. Elon's biggest 3-point threats come form Kich and Samson, shooting 45.5% and 44.4% respectively beyond the arc. Keys to the game for the Catamounts other than a decent shooting night, will be turnovers and rebounding, as the Cats created 23 turnovers in the first game, scoring 28 points off those turnovers. The Cats also scored 18 second chance points off offensive rebounds. The Catamounts also need to limit personal fouls, as Elon scored 17 points off 26 attempts, as a result of 21 personal fouls by the Catamounts. There is a lot riding on this game for both teams, as the winner remains in the tip tier along with Davidson and Chattanooga. If the Cats want the opportunity to win the regular season, and go into the tournament as the number 1 seed, they can not lose anymore game. It's a tall order, but this is a seasoned, veteran team. It just remains to be seen how bad they want it. Realtime RPI projects an eleven point loss for the Cats at Elon, 69-80. However, they also projected a 5 point loss earlier in the season for the fist game. It's 18 days until the 2014 season's first pitch and the first three game home series against the Ohio Bobcats. Prior to Western Carolina: Three-year varsity letter winner and a three-time all-conference selection ... Earned CAP-8 Conference Pitcher of the Year accolades as a senior, posting a 6-1 record with a 0.40 ERA ... Struck out 90 batters against 20 walks through 61 innings of work ... Picked up all-state plaudits in his final season ... Set a school records for consecutive game hitting streak at 22, putouts by an outfielder and appearances in a single-season. Personal: Full name is Brian Joseph Nobles ... Is the son of Gary and Jill Parker ... Has a brother, Daniel ... His father, Gary, played college basketball. 2013 (Freshman): Played in 23 games and started eight ... Had two hits, scored four runs, notched a double and had two RBI. Prior to Western Carolina: Four time All-County and All-Conference from freshman through senior year ... Named MVP of the Year as a senior. Personal: Sarah Beth Perrine ... Daughter of Charles Perrine and Jamie Weekly ... Has five siblings: Brittany, Ashley, Nikki, Emily and Gracie. It's 19 days until the 2014 season's first pitch and the first three game home series against the Ohio Bobcats. 2013 (Sophomore): Made seven relief appearances on the season, tossing 6.1 innings and finishing with a 1-1 overall record and an 8.53 ERA ... Only six of the nine runs allowed were earned, scattering 10 hits through is time on the hill ... Recorded two strikeouts on the year ... Threw a career-long inning and two thirds twice against both Hofstra (March 3) in game one of a doubleheader and at Georgia (March 5) ... Picked up his first collegiate victory against Hofstra, relieving starter Colton Davis with an inning and two-thirds tossed ... Suffered his first defeat, taking the decision in the road loss at Tennessee (March20) ... Recorded one put out and two fielding assists; Summer League: Pitched in 10 games for the eventual Southern Collegiate League regular season and tournament champion Lake Norman Copperheads ... Tossed 14.1 innings in relief, scattering 11 hits and limiting opponents to four runs - only two of which were earned - and a .224 batting average against ... Worked around 10 walks with 15 strikeouts, posting a 9.42 strikeout per nine inning ratio ... Finished 0-1 overall with two saves and a 1.25 ERA ... Struck out a summer-high four batters in two separate outings. 2012 (Freshman): Appeared in two games as a true freshman, totaling two thirds of an inning pitched ... Finished with an overall ERA of 13.50 as a rookie in limited time on the hill ... Made his collegiate debut at Winthrop (February 21) allowing one run on a home run, throwing six pitches ... Faced two batters in relief at East Tennessee State (April 25), issuing a pair of walks ... WCU won both games in which he saw action; Summer League: Pitched for the 6-4-3 Cougars out of Atlanta, Ga. Prior to Western Carolina: A four-year varsity letterwinner who hit a school-record .407 over his career with 30 doubles, seven triples and 11 home runs - another school benchmark ... Earned his team's Offensive MVP honor twice ... Drove in 89 RBI including a career-best 39 as a senior ... On the mound, finished with a 10-13 overall record with four saves and an ERA around five ... Posted 56 strikeouts in 50 innings pitched ... Lettered in three varsity sports for all four years as a prep. Personal: Full name is Daniel E. Schneider ... Is the son of Dan and Ana Schneider. Making it five wins in a row over the Bulldogs, the Catamounts beat The Citadel in Charleston, SC by a final score of 78-60. Tom Tankelewicz came off the bench for the Cats, scoring a team high of 15 points. Trey Sumler added 10 points and reserve forward Justin Browning scored a career-best 10 points with seven rebounds. Trey Sumler became the fifth all-time Western Carolina player to surpass 1,800 career points. The Catamounts bench scored 46 points to only 10 points for the Citadel's bench. The Cats out rebounded the Bulldogs by 16, pulling in 43 rebounds to The Citadel's 27. Free throws kept the Bulldogs in the game in the second half, making 26 points off 33 attempts. Matt Van Scyoc, scored a career-high 25 points, with 12 of those points coming at the charity stripe, he was 12 of 13 at the line for 92.3% on the night, while the team was 78.8% on the night. The Bulldogs, amid a 10-game losing streak, were held to just 15-for-46 (32.6%) shooting from the floor. It's 20 days until the 2014 season's first pitch and the first three game home series against the Ohio Bobcats. High School: Was a two-time, all-district and all-region selection ... Over his final two years, posted an 11-2 record on the hill in 116 innings of work ... Boasted a 1.90 ERA as a junior and a 2.10 ERA during his senior campaign. Personal: Full name is Taylor Michael Durand ... Is the son of Tony and Laura Durand ... Has two siblings, Bradley and Halee. On Saturday, January 25th, the Catamounts travel to McAlister Field House (6,000) in Charleston, SC to meet The Citadel Bulldogs (4-17, 0-6 SoCon), who are winless in Southern Conference games this season. The Cats and Bulldogs have met 62 times on the hardwood, with Western owning a 30-32 record against the dogs. Last season, they met only once during the regular season, which the Cats won in Charleston by a final score of 72-55, and then met again in the first round of the SoCon tournament, which the Cats also won (76-61). In his fourth season at The Citadel, head coach Chuck Driesell's Bulldogs were picked to finish 11th in preseason voting by the leagues coaches. Coming into the game, the Bulldogs are 4-17 overall and 0-6 is Southern Conference games. In Division I games, the dogs are 1-16 overall, and 1-4 at home. The Citadel is currently on a 9 game losing streak, with 3 straight losses at home. UNCG into overtime before losing, and playing Furman, Elon and Chattanooga close games. They will not be a push over for the Catamounts. 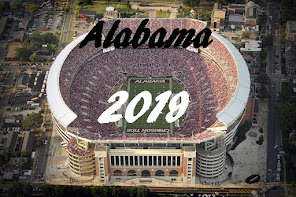 If the team goes into McAlister thinking a win is already in their pocket, they will walk out with a loss in their pocket instead. The Bulldogs are putting up 69.1 points per game, good enough for 8th place in the conference, but are giving up 75.6 ppp (9th place). Driesell has three players scoring in double figures, led by sophomore forward Matt Van Scyoc (6-7, 218) with 15 ppg, followed freshman forward Brian White (6-6, 180) with 13.4 ppg, then junior guard Ashton Moore (6-0, 172 lbs) with 12.2 ppg. RealTime RPI projects a 1 point loss to the Citadel, 73-74. The Cats have not played well on the road this season, and just may give the Bulldogs their first SoCon win. It's 21 days until the 2014 season's first pitch and the first three game home series against the Ohio Bobcats. 2013 (Freshman): Played in 37 of WCU's 59 games on the season making 29 starts, all coming behind the plate ... Posted a .240 (24-for-100) batting average with six extra base hits including five doubles and a triple ... Finished with five multiple-hit games including three, two-hit outings while recording two, two-RBI games ... Walked 13 times and was plunked twice for his .336 on-base percentage ... Batted .298 (17-for-57) against conference opponents with five extra base hits including four doubles and his triple ... Threw out 11 of the 32 base stealers on the season with one double-play, catching nearly 26-percent of runners ... Enjoyed a career-long, five-game hitting streak in early March ... Made his collegiate debut in the second game of the regular season, earning his first collegiate start behind the plate against Pac-12 foe, Washington State (Feb. 16) ... Delivered his first collegiate base hit and first career RBI on an eight-inning single up the middle against the Cougars ... Tallied his first extra base hit with a double at Georgia (March 5), driving in a run as a part of WCU's five-run top of the first inning ... Collected a career-high three hits on two occasions, going 3-for-4 with a double at the College of Charleston (March 16) and finishing 3-for-4 with a double and two RBI at UNCG (April 27); Summer League: Played for the Forest City Owls of the Coastal Plain League ... Started all 10 games in which he saw action before leaving the team ... Batted just .077 (2-for-26) with four RBI ... Drew five walks and was hit by a pitch to counter 10 strikeouts ... Recorded 60 putouts with 10 assists while committing two errors for a .972 fielding percentage. Prior to Western Carolina: A four-year varsity team member, played high school baseball at Forsyth Central HS for head coach Kevin McCollum ... Earned All-Region and All-County accolades behind the plate ... Was the Forsyth Central team MVP final three seasons as a prep ... Tagged as a "top prospect" by the BaseballFactory.com ... Listed among "Other Top Players" in the ESPNHS All-State baseball team. Personal: Full name is Daniel Alejandro Bermudez ... Is the son of Jose Bermudez and Lorena Francis ... Was born in Caracas, Venezuela ... Has three siblings - Dayhana, Dayhali and David Bermudez. Prior to Western Carolina: Four-year letter-winner at Cuthbertson High School ... As a senior was named all-district, all-conference all-state, Union County MVP and Hot Stove Gamer of the Year ... Also as a senior had a .461 batting average and 45 RBI ... As a junior had a .458 batting average with 23 RBI and named all-district, all-conference and First Team UCPS ... Her sophomore year had a .481 batting average and 28 RBI and all-district, all-conference and all-state selection ... As a freshman, who had a .292 batting average and 18 RBI, she was the only freshman to make the state team. Personal: Kara Marie Salvo ... Daughter of Dan and Donna Salvo ... Father Dan played football at United States Merchant Marine Academy in Kings Point and mother played softball at County College of Morris in Randolph ... Has one sister, Amanda. It's 26 days until the 2014 season's first pitch and the first three game home series against the Ohio Bobcats. Prior to Western Carolina: Was a three-year, varsity letter winner on the diamond ... Finished with a 9-4 overall career record on the mound including five saves ... Also hit seven career home runs... Earned first team all-region and all-county accolades as a senior after being a preseason Louisville Slugger All-America Honorable Mention ... Also played football as a prep, helping his high school win the Georgia state championship as a junior with a perfect 15-0 record. Personal: Full name is Korey Lee Anderson ... Is the son of Joe and Kathy Anderson ... Has two sisters, Katie and Krista. Western Carolina's Chenell Bryan was selected as Field Athlete of the Week from the Southern Conference. A freshman from Asheville, N.C., Bryan finished second twice this indoor season with a distance of 5.47m at the Appalachian Invitational and her mark of 5.76m, which leads the Southern Conference, at the Niswonger Invitational this past weekend. She also has a sixth place finish after a distance of 5.49m at the Wake Forest Invitational. Indiana, Georgia State Samford, Eastern Illinois, VMI, Texas Southern, and Alabama State have shown interest in Bradley and Western Carolina and Presbyterian offered him. In addition to Western Carolina, Corey Holloway has offers from Ga State, Kennesaw St., and Syracuse. For the second straight year, Eagle’s Landing senior running back Corey Holloway rushed for more than 1,000 yards. Holloway finished with 1,093 rushing yards, a 7.1 yards per carry average and a team-leading 10 touchdowns as Eagle's Landing bounced back from consecutive 1-9 seasons with an 8-3 mark. On Thursday, January 23, 2014 the Davidson Wildcats will make their final trip to the Ramsey Center as a Southern Conference member. This game has been designated as a WHITE OUT game and WCU fans are requested to wear white to the game. As with Wofford, the Catamounts and Wildcats will only meet once in the regular season. Fortunately for Catamount faithful, the rotation puts the Davidson SoCon Farewell Tour in the RAC, where Western has won eight straight games. Western Carolina is 20-40 overall against the Wildcats and are coming off two losses last season to Davidson. Final scores were 74-79 in Cullowhee and 50-73 at Davidson. The Wildcats were predicted to finish second in the preseason standings by both the coaches and media, and for the second consecutive season, De'Mon Brooks was voted the Southern Conference Preseason Player of the Year. Head coach Bob McKillop's Wildcats are 8-11 overall coming into this years game and 4-1 in SoCon play, having lost to Elon at home back on January 16th. In Division I games, the Wildcats are 1-4 at home, and 5-3 in road games, They are winners of 4 of their last 5 games and are coming off a 11 point road victory in Greensboro over the UNCG Spartans. Davidson is currently ranked third in scoring offense in the SoCon with 76.4 points per game, WCU is 5th at 72.9 ppg. The Wildcats are last in the conference in scoring defense, giving up 78.5 ppg, while the Catamounts are ranked second behind Wofford, giving up 71.8 ppg. The Catamounts have an advantage in both offensive and defensive rebounds, as well as in steals, where WCU leads in the league with 8 per game. Davidson is hitting 69.8% of their free throws, giving the Wildcats a considerable advantage, as the Catamounts lead the league in sending their opponents to the charity stripe. Davidson currently has four players averaging in double points, led by player of the year candidate senior forward De'Mon Brooks (6-7, 230 lbs) hitting 17.8 ppg, followed by sophomore guard Brian Sullivan (5-11, 175 lbs) with 12.3 ppp, and senior guard Tom Droney (6-6, 200 lbs) with 11.6 ppg, then junior guard Tyler Kalinoski (6-4, 180) with 10.9 ppg. RealTime RPI projects a Western Carolina win by 6 points, 83-77. 2013 (Freshman): Named Southern Conference Pitcher of the Week (04/08/13) ... Made 25 appearances and started 15 ... Second on the team with a 3.57 ERA and a 5-10 overall record ... Tossed 82.1 innings ... Second on the team in strikeouts with 72, ranking her 10th in Catamount record books for strikeouts in a season. Prior to Western Carolina: In her career at Metrolina Christian Academy amassed a record of 60-10 with a 0.59 ERA and recorded 946 strikeouts on the mound and a .472 batting average with 134 RBI and 20 homeruns at the plate ... In her senior year, had a 24-2 record as a pitcher with a 0.31 ERA and 342 strikeouts and a .488 batting average with 42 RBI and nine homeruns ... All four years was named All-Conference and All-State ... As a junior and senior, named to the All-Observers Team and NCSA All-District and All-State ... The team, her senior year, had a 24-2 record and were regular season and tournament champions and won the 2012 3A All-State Champions. Personal: Mallory Kay Broome ... Daughter of Ricky and Penny Broome ... Has one brother, Matthew. In celebration of Western Carolina University's 125th Anniversary, Ingles and WCU have teamed up to provide fans discounted tickets for Davidson's final trip to Cullowhee as a member of the Southern Conference. A coupon can be picked up at any Ingles, and will be good for $3 off any ticket purchased to the Catamount men's game against the Davidson Wildcats on Thursday, January 23. Tip-off of the special "WHITE OUT" game where all fans are being asked to wear white is scheduled for 7:00 pm. The first 500 fans at the game on January 23rd will receive a FREE WCU 125th Anniversary commemorative T-shirt, courtesy of Ingles. Prior to Western Carolina: Four-year letter-winner at McDowell High School ... All-Conference, all-district all four years ... Team Defensive MVP her sophomore through senior year ... All-State her sophomore, junior and senior year ... Region 8 Pitcher of the Year as a senior ... For her career had 703 strikeouts tossing 475 innings and had 17 shutouts ... Second place in the conference and made it to the second round of the state play-offs her sophomore through senior year. Personal: Daughter of Malcolm and Stacy Buchanan ... Has one sister, Taylor. The Cats only played one game in week 11, and the same for week 12. Having 7 days between games is not good (for two straight weeks) unless the team has injuries, and needs time to recuperate. I think that the long periods between games may have hurt the Catamounts edge and offense coming into last week's Georgia Southern game, and Saturday's Samford game. Both games we close, with the Cats taking the win in the last minute of the game. This coming week, the Cats have three games, Monday, Thursday, Saturday. Who does this scheduling? Who is the best point guard in the SoCon? In my opinion, it would be Trey Sumler. Who is the most overrated coach in the SoCon? Again, in my opinion only, it's Elon's Matt Matheny. Not taking anything away from Matheny, he is a good coach, but I think that since he came out of the Davidson program, he gets too much comparison as the the second coming of Bob McKillop. I'm not unhappy that he's going to the CAA, I did say he's a good coach, and Elon spends lots of $$$$ on their basketball program. Your team is down 2. Ten seconds left in the game. Do you shoot a two or a three? Who do you want to take the shot on your team and doing what? Trey Sumler, and which ever shot is open for him, the two or 3 pointer. Sumler thrives under this kind of pressure, and will usually make that kind of shot. Western Carolina senior Luke Gragg has been selected this season's "Leggett No. 7 Legacy" player as chosen by head coach Bobby Moranda and the Catamount baseball coaching staff. Moranda announced the selection of Gragg at the "Celebration of Catamount Baseball" banquet held Saturday (Jan. 18) on-campus at the University Center. Gragg is the fourth player to wear the legacy honor. Former Catamount catcher Stephen Notaro was the first recipient in 2011 with left-handed pitchers Vance Chavis (2012) and Morgan McKinney (2013) also donning the No. 7 jersey in their final seasons. "Among the many great past individuals that have influenced the success and the prestige of Western Carolina baseball, Jack Leggett stands out above most. His legacy lives on here every day," said Moranda of the Leggett Legacy tradition. "Every season, we will name one player who exemplifies what it is to be a Catamount baseball player and that deserves to wear the No. 7 jersey to honor the foundation laid by Jack." The Catamounts travel to Spartanburg, SC on Monday, January 20th to meet the Wofford Terriers in the Benjamin Johnson Arena (3500). 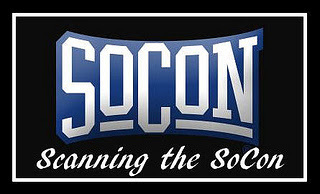 The game is the "SoCon Game of the Week" and will be televised on both CSS and ESPN3. The Cats are 25-18 all time against the Wofford Terriers, and again this year, like last season, the Terriers and Cats only play one game in the regular season, saving Wofford's head coach from having to travel to the one place he'd rather "go to hell than go to (expletive) Cullowhee". In preseason voting, Wofford was picked sixth by the coaches, and fifth by the media. while Terrier guard Karl Cochran was selected to the preseason all-conference team. Wofford is a young, but experienced team, as they return 9 players that accounted for 90% of their scoring last season. Forward Aerris Smith is the only senior on a Terrier roster that includes four juniors, five sophomores and four freshman. The Terriers currently have three players scoring in double figures, sophomore guard Spence Collins (6-4, 195 lbs) is the leading scorer with 13.4 points per game, followed by junior guard Karl Cochran (6-1, 175) with 12.7 ppg and then junior forward Lee Skinner (6-6, 220) with 11.5 ppg. Wofford is averaging 65.8 points per game (last in the SoCon), but is first in scoring defense at 65.9 points per game allowed. The Terriers average 12.8 turnovers per game and 6.4 steals. Realtime RPI projects the Cats to lose to Wofford in Spartanburg by three points, 75-78. 2013 (Sophomore): Led the pitching staff with 34 appearances on the season including 33 out of the bullpen and one start ... Finished with a 2-2 record with two saves and a career-low 2.82 ERA, striking out 55 against 28 walks ... Tossed 38.1 innings on the season, posting at least one out in each appearance ... Of the 31 hits allowed, only eight went for extra bases, all doubles ... Recorded a career-best four strikeouts three times during the season ... Earned his first career save against Longwood (Feb. 27), striking out two in a perfect ninth inning of the 8-5 victory ... Scored his first collegiate victory against the College of Charleston (March 15), pitching an inning of one-run, one-hit baseball out of the bullpen in the eighth, walking and striking out one ... WCU scored in the top of the ninth leaving Powell with the victory ... Made his first collegiate start in midweek action against Kennesaw State (April 23), tossing a career-high three innings of three-hit, shutout baseball without a decision in a game WCU won, 2-0 ... Named to the 2013 Southern Conference Spring Academic All-Conference team and to the 2012-13 Southern Conference Honor Roll; Summer League: Pitched for the San Luis Obispo Blues of the California Collegiate League ... Made 12 appearances on the summer, finishing with an 0-3 record with three saves ... Scattered 13 hits and allowed nine runs, seven of which were earned ... Struck out 25 batters against nine walks ... Limited opposing hitters to a .236 batting average against. 2012 (Freshman): Made 22 appearances - the fourth-most on the squad - all coming in relief out of the bullpen ... Threw 16.0 innings with six strikeouts against eight walks, finishing with an 0-3 record ... Allowed runs in just 10 of his 22 appearances, working 10 hitless outings ... Suffered three losses after throwing only a combined 27 pitches - including taking the loss against Davison (March 31) after throwing only two pitches ... Recorded 17 fly ball outs and 21 ground outs including three double plays ... Tossed a career-high 2.1 innings out of the bullpen in WCU's win over East Tennessee State (March 7) ... Took the loss at home against Kennesaw State after three seeing-eye singles set the table ... WCU scored the win in 11 of the 22 games in which he saw action; Summer League: Played for the Gastonia Grizzlies of the Coastal Plain League ... Made 17 appearances including two starts, tossing 27 innings on the summer ... Finished with an 8.67 ERA with 26 of the 28 runs allowed being earned ... Struck out 18 against 23 walks ... Only seven of the 30 hits allowed went for extra bases. Prior to Western Carolina: Helped Myers Park HS and head coach John Spencer win 45 games over three seasons including a conference tournament championship as a sophomore and runner-up finish as a senior ... Was a team captain as a senior ... Selected to the All-South Charlotte team ... Was drafted by the Texas Rangers in the 46th round of the 2011 Major League Baseball First-Year Player Draft ... Captained his junior varsity baseball team as a freshman ... Additionally played two years of varsity basketball as a prep. Personal: Full name is Tyler William White Powell ... Is the son of Bill and Patty Powell ... Has two siblings - Brooke Castelloe and Casey Powell. Coach Hunter recognized Brandon Boggs before the Samford game for eclipsing the 1,000 career point mark. The Cats escape Samford's upset bid today in the Ramsey Center, winning by a final score of 67-64. Western upped their overall record to 11-8 in the season, and 4-0 in Southern Conference games, just one of two teams undefeated in SoCon play as of the end of this game. The other unbeaten team, Chattanooga, plays Wofford at 7 pm tonight. The Catamount win today increases the home winning streak to 9 straight games this season. The Cats had three in double figures for the game and were lead in scoring today by James Sinclair with 15 points. Trey Sumler had 13 points, while Brandon Boggs put up 10. Tawaski King pulled down 7 rebounds and put up 9 points. The Cats follow Chattanooga to Spartanburg. SC to play Wofford on Monday night at 7 PM. It's 27 days until the 2014 season's first pitch and the first three game home series against the Ohio Bobcats. 2013 (Sophomore): Saw action in 57 of WCU's 59 seasonal games, making 53 appearances among the starting lineup including 30 games at first base, 19 as the designated hitter, four in right field and twice starting on the mound ... Finished the season batting .310 (66-of-213) with 29 extra base hits including 16 doubles to rank tied for second on the squad, two triples and 11 home runs, ranking him third on the squad ... Finished ranked third on the team with a career-best 52 RBI ... Posted 20 multiple hit games with 14 two-hit outings while recording 13 multi-RBI games where he was one of just four Catamounts to record five-or-more RBI in a game ... Finished with a .559 slugging percentage ... Hit .276 (29-for-105) in SoCon play, collecting 10 extra base hits including four doubles, a triple and five home runs while driving in 24 runs, fourth on the team ... On the mound, made four appearances including two starts ... Tossed a combined 9.2 innings with a 4.66 ERA ... Allowed 13 hits including four for extra bases, surrendering seven runs of which five were earned ... Struck out five against eight walks ... Made his first collegiate start on the mound in game two of a twin bill against Hofstra (March 3), scattering one run on five hits with three strikeouts through five innings to pick up his first career victory ... Helped his own cause to the win, driving in a career-high tying five RBI on a 2-for-4 showing at the plate ... Matched his career-high with four hits against UNC Asheville (April 2), scoring a career-best three runs against the Bulldogs ... Enjoyed a career-long, nine-game hitting streak which included four multiple-hit games ... Legged out a career-high three doubles in a home win over OVC regular season champion, Tennessee Tech (May 3), posting a 3-for-4 outing at the dish ... Delivered a career performance with two home runs and four RBI against The Citadel (May 23) in the 2013 SoCon Tournament at Fluor Field ... Named to the 2013 Southern Conference Spring Academic All-Conference team and to the 2012-13 Southern Conference Honor Roll; Summer League: Started 44 of the 45 games in which he saw action for the Morehead City Marlins of the Coastal Plain League ... Posted a .280 (45-of-161) batting average, collecting 10 doubles and four home runs ... Scored 23 runs while driving in 20 ... Walked 15 times and was hit by six pitches while striking out 49 times ... Additionally made four appearances on the mound including three starts ... Finished with an 0-1 record and a 5.79 ERA, tossing 14 innings with 16 strikeouts against four walks ... Surrendered 10 runs (nine earned) on 16 hits with just three extra base hits allowed and a .281 opposing batting average. 2012 (Freshman): Played in 52 games, making 47 starts including 33 as the designated hitter, seven in right field and seven at first base ... Led the team with 45 RBI on the year, racing out of the gates with 30 runs driven in through the first 19 games before an oblique strain slowed his pace ... Finished with a .308 collective batting average, collecting 18 extra base hits among the 57 on the season ... His batting average did not dip below .306 all season, recording hits in all but 16 of the 52 games he played ... Was second on the team with 14 doubles ... Paced the squad with six sacrifice flies ... Named second team All-Southern Conference as a designated hitter, while also being tabbed to the SoCon All-Freshman Team by the league's head coaches ... Was additionally selected second team All-SoCon by College Sports Madness ... Named to the Louisville Slugger Freshman All-America team as selected and announced by Collegiate Baseball Newspaper ... Made two appearances on the mound, tossing two-thirds of an inning officially with two walks and a wild pitch ... In his first collegiate game, finished 4-for-5 with a home run and two doubles including one in his first career at-bat with three RBI in the win over Fordham (February 17) ... Drove in a career-best five runs in the home win over Duke (March 6) on a 3-for-5 outing with two doubles; Summer League: Played with the Waynesboro Generals of the Valley League during the summer of 2012 ... Finished ranked third on the team with a .348 (56-of-161) batting average with 19 extra base hits including 11 doubles and a triple and seven home runs ... Had a .559 slugging percentage ... Drove in 38 RBI ... Also made 11 pitching appearances for a combined 14 innings with a 2-1 record and a 1.29 ERA ... Walked 12 against 22 strikeouts giving up three runs, two of which were earned ... Was selected as the Generals' player of the week earlier in the summer ... Named to the midseason All-Star team in the Valley League ... Named by Perfect Game as the 14th best prospect out of the Valley League. Prior to Western Carolina: Was a three-time All-Northwestern 3A/4A Conference selection, garnering the honor each of his final three seasons as a prep ... Posted a career .457 batting average with 91 hits including 27 doubles, four triples and 10 home runs ... Drove in 59 runs with a career slugging percentage of .784 ... Tossed a no-hitter against Watauga for St. Stephen High ... Picked up all-tournament team plaudits following a Easter weekend tournament as a junior ... Named an all-star for Hickory Post 48 in American Legion baseball during the summer months, hitting .425 with 12 doubles, a triple and 10 home runs ... As a pitcher, posted a 9-1 record with four saves in legion ball ... Also lettered in swimming as a sophomore, placing in the state 3-A Championships. Personal: Full name is Jacob Edwin Hoyle ... Is the son of Terry and Jean Hoyle ... Has a sister, Katie. 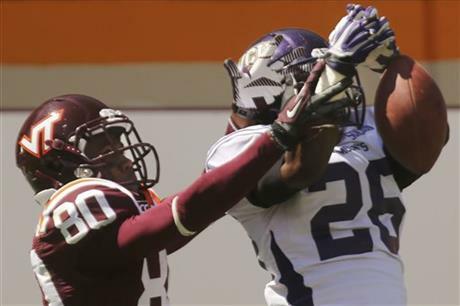 Western Carolina defensive back Trey Morgan has been selected to the College Sports Journal 2013 Football Championship Subdivision (FCS) All-Freshman Team. Morgan is one of a combined 12 players from the Southern Conference selected to one of the two honorary squads which included first and second team offense, defense and special teams. Starting in all 12 games at cornerback, Morgan completed the season with 45 tackles including 29 solo stops. The SoCon All-Freshman team selection ranked eighth on the squad overall in terms of total tackles. Morgan made four pass break-ups that includes an interception against ACC-foe, Virginia Tech. It's 28 days until the 2014 season's first pitch and the first three game home series against the Ohio Bobcats. Career Notes: After three seasons, is ranked 14th in WCU's career record book with 209 strikeouts, averaging nearly 70 strikeouts per season ... His 44 career starts rank him fifth in program history, just nine starts shy of tying Jack Kimel (1989-92) for first all-time ... Smith has tossed 269.2 career innings to rank him ninth in WCU's career ledgers. 2013 (Junior): All 15 appearances on the season came in the starting role, tossing a team-high 94 innings ... Posted a 7-3 overall record to rank second on the team in victories with a career-best 3.73 ERA which ranked 11th in the SoCon ... Recorded 70 strikeouts on the year, fanning three-or-more in every game including twice striking out a season-high seven - vs. Samford (April 14) and Wofford (May 12) ... Walked just 33 on the season, averaging 2.2 walks per outing ... Allowed 87 hits on the season with just 24 going for extra bases ... Claimed the victory in his first start of the year against Washington State (Feb. 16), but would not earn a win again until April 14 against Samford, suffering three losses and four no decisions ... Finished the year strong by scoring the win in six of his final seven starts of the season ... Tossed a season-high 8.2 innings in a pitcher's duel against Elon (March 24), scattering two runs on five hits with five strikeouts in a 2-1 loss at home ... Threw 100-or-more pitches in 10 of his 15 appearances on the year ... Tallied 25 fielding assists with five putouts ... Named to the 2012-13 Southern Conference Honor Roll; Summer League: Pitched in seven games during the summer, tossing just over 28 innings for the San Luis Obispo Blues of the California Collegiate League ... Posted a 3-2 record with a 1.27 ERA ... Scattered 20 hits while holding opponents to eight runs, only four of which were earned ... Struck out 24 against eight walks and limited opposing batters to a .189 batting average against ... Earned Mid-Season All-Star recognition in the California Collegiate League. 2012 (Sophomore): Made 16 appearances including 15 starts ... Led the team with both 95.2 innings pitched - averaging a team-best 5.98 innings per appearance ... Finished with 78 strikeouts, tallying at least three strikeouts in every start ... Finished with a 4-5 overall record and a 3.48 earned run average, limiting foes to a .257 batting average against ... On the season, induced 110 ground ball outs including nine double plays, with 76 fly ball outs ... Threw seven and a third scoreless innings against Iona (March 2) to pick up his first victory of the season ... Struck out a career-high 11 in eight innings, scoring the victory in game one of a double-header over UNC Greensboro (March 24) ... Threw one inning of relief out of the bullpen against Clemson (April 4) in a mid-week road victory ... Earned Southern Conference Pitcher of the Week honors after tossing a complete-game, five-hit shutout in the road win over Georgia Southern (May 11) ... In a weather-shortened start against No. 24 Appalachian State (May 17), held the Mountaineers hitless through the first five innings, finishing with three hits through six frames before the game was halted ... Threw over 100 pitches in nine games on the year; Summer League: Pitched for the Cotuit Kettleers in the prestigious Cape Cod League in the summer of 2012... Made nine appearances on the summer including four starts, tossing 27.2 innings ... Finished with a 2-3 overall record and a 6.83 ERA ... Posted 21 strikeouts against just six walks. 2011 (Freshman): Started all 14 appearances he made on the mound including two complete game shutout victories ... His team-leading two CG's were the most for a freshman Catamount pitcher since 1999 ... Posted a 6-7 overall record and a 5.29 ERA ... Was second on the team with 61 strikeouts while leading the squad with a 2.3 strikeout-to-walk ratio ... Ranked tied for 10th in the SoCon with 26 strikeouts looking ... Limited opponents to a .280 batting average against ... Induced six double plays, second on the team ... Made his first career start, scattering two hits in five scoreless innings in a win over Morehead State (February 19), striking out five against three walks ... Struck out a career-best nine in eight, four-hit innings at Davidson (March 27) in scoring his first Southern Conference victory ... Picked up his first-ever complete game shutout, tossing a four-hitter against Wofford (April 23), striking out eight ... Scattered 10 base hits to earn a second complete game shutout against The Citadel (May 20), striking out seven ... Did struggle in two starts on the season, being lifted in the second inning at the College of Charleston (April 2) and at Appalachian State (May 8) ... Tossed over 100 pitches in a game six times on the season. Prior to Western Carolina: Was the 16th-ranked baseball recruit in the state of North Carolina by PG Crosschecker, and ranks 331st in the nation by the same group ... Was selected to play for the North Carolina squad in the South Atlantic Border Battle ... Was a member of the 2009 Oakland Athletics Area Code Baseball team in Long Beach, Calif. ... Played summer baseball with NCBA Golden Spikes ... Named WCU's Most Outstanding Pitcher from the team's Fall World Series. Personal: Full name is Jordan Mark Smith ... Is the sone of Mark and Jodie Smith ... Has two siblings, Whitney and Connor.